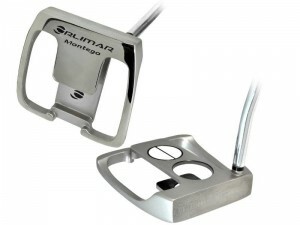 Orlimar’s new Montego model putter has a milled mallet-style head but the most striking feature is what the company calls a “360 degree alignment aid” that has the appearance of three circles when viewed at address. At address proper alignment occurs says Orlimar when the three circles which appear to be a three dimensional array are seen so that the circle closest to the face, a cutout, is centered so the lower circle is inside its perimeter. The two split white circles provide both down-the-line and spherical views putter face positioning with the ball. The Montego putter is a face-balanced, heel-shafted mallet, constructed of 304 stainless steel, a head weight of 345 grams and carries a SRP of $149.99 with availability of Oct. 1.